Now is the perfect time to open a salon. The hair and beauty industry is thriving, and even more growth is forecast. 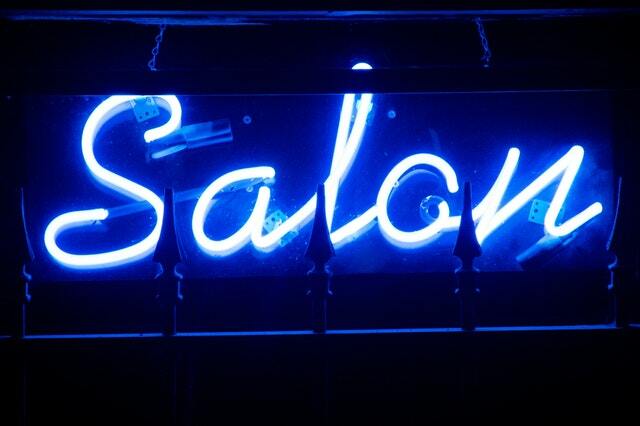 Running a salon is similar to running any other business, with generating sales the paramount goal. You might be an expert in all things hair and beauty, but if it’s all new to you, the business side of running a salon can be daunting. There are many tips and tricks to follow to make your salon a success. When it comes to clients, don’t place all of your focus on attracting new clients. Of course, you still need to attract more clients to your salon, but marketing to existing clients can be just as effective as long as you do so to increase the frequency of their visits. Love, nature and cherish your existing clients, and always under-promise and over-deliver, as this is likely to convince them to visit you more often. Also, through their positive worth of mouth, you’ll effortlessly attract more clients. Always take a realistic approach to budgeting for the running of your salon – don’t sell yourself a dream by planning for the best possible scenario. If you plan for the worst, this will help to minimise any damage should something go wrong. Often, a common mistake in running a salon is nothing to do with the treatments offered, but instead careless planning leading to unrealistic expectations in regards to finances. Avoid underestimating costs and overestimating revenue. Sometimes in life, things just go wrong, and nobody is to blame. With that said, you can do your bit to protect yourself in scenarios where you would be otherwise helpless. Your salon is your dream come true, and all of those hours you’ve spent working make it worth protecting. Salon insurance will protect you in a number of instances and provide public, products, employer’s and treatment liability as well as protecting your stock, money and much more. Much like when you are providing treatments to clients, you should pay great attention to detail when choosing the decor of your salon. Before you start painting the walls and choosing furniture, you should be sure that the design for which you’re aiming matches the kind of customer base you’re looking to attract. It’s important that customers feel comfortable in your salon; therefore, it should be a place you want to visit. If you’re chasing a higher-end feel, a sophisticated and modern vibe is the look to go for; however, if you seek to appeal to the younger generation, opt for fun, bold colours. When you first open your salon, it may be that you are the sole employee; however, hopefully, you’ll be so successful that you need to hire extra staff. When hiring staff, always hire someone based more on personality than skill. You can always teach and enhance the existing skills of your staff, but it’s harder to train them how to nurture clients. Previous post: How to Create a Round-up post that would get shared at the Speed of Light?